Hackers built enterprise chat and voice bots in 48 hours. Arte Merritt, Dashbot CEO & co-founder, kicks off the hackathon with a keynote. 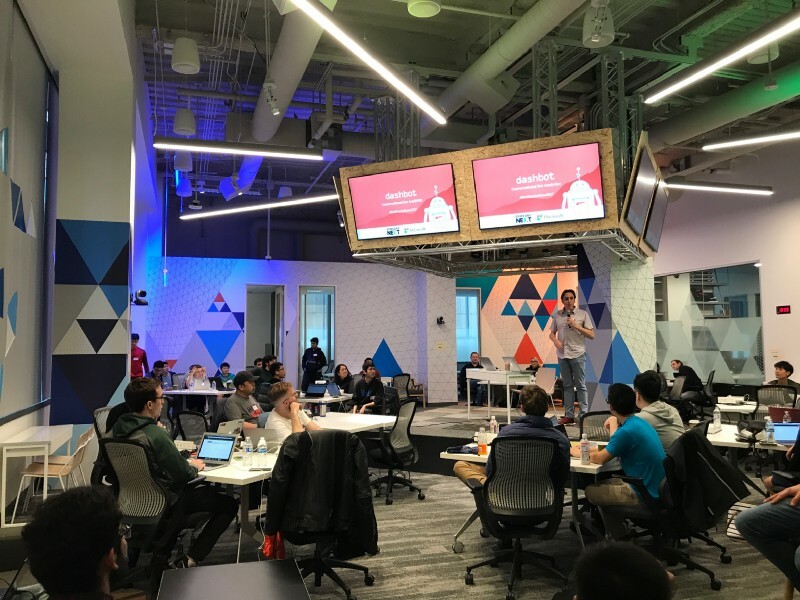 This past weekend, we hosted a 2-day bot hackathon at Microsoft Reactor where attendees built bots on messaging and voice platforms. The creative thinking, problem solving, and execution demonstrated by each of the teams were incredibly impressive. Bots needed to solve a business problem. Teams must integrate Dashbot analytics. Teams were very dynamic and consisted of developers, designers, marketers, psychologists, data scientists and more. Most opted to build their bot using Node.js, Python, and Microsoft Bot Framework. Many were determined to have their bot be cross-platform and included multiple integrations with tools like Slack, Stack Overflow, Google Hangouts, Google Calendar, and QR codes. What was particularly fascinating was how many of the teams built test bots on multiple platforms to really understand and leverage the potential of each interface. 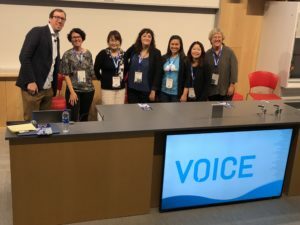 The teams thoroughly thought through how best to provide a business solution and who their target audience would be for each conversational platform. Lastly, and most importantly, was the opportunity we had to help people integrate conversational analytics into the bots they just built. There’s something really magical about watching a crowd of people integrate and use your product, in real-time and in-person. It is a hard-hitting, tangible reminder that real people use your product and these real people have real questions. Hackathons put your product to the test as people comb through every piece of documentation, tutorial, and example. Bot Reactor: A Facebook Messenger bot that helps you locate items inside of any store. Botpop Up: A Google Action that streamlines the ordering process between merchants and customers by leveraging Slack integrations. Calvite: A Google Action for school administrators to efficiently create appointments with parents and staff. Coderbot: A chatbot that democratizes knowledge of software development teams. DBots: A Facebook Messenger bot that facilitates event discovery and scheduling. Refujob: A Facebook Messenger bot that helps refugees find and apply for jobs. k2 bot: A Slack bot that checks in with employees about workplace mental wellness. LBOT: A Facebook Messenger bot that finds and curates learning resources. Botax: A multi-platform bot that helps with your taxes. Team Empowered: A Slack bot that aids workplace mental wellness by collecting feedback. FABot: A native chatbot that provides text and video instructions for assembling Ikea products. Psycho: A native chatbot that helps professional video gamers with their mental wellness during tournaments. Ballo Bot: A Facebook Messenger bot that helps writers collect all of their notes and thoughts in one place. 1st place — Botax: A multi-platform bot that helps with your taxes. 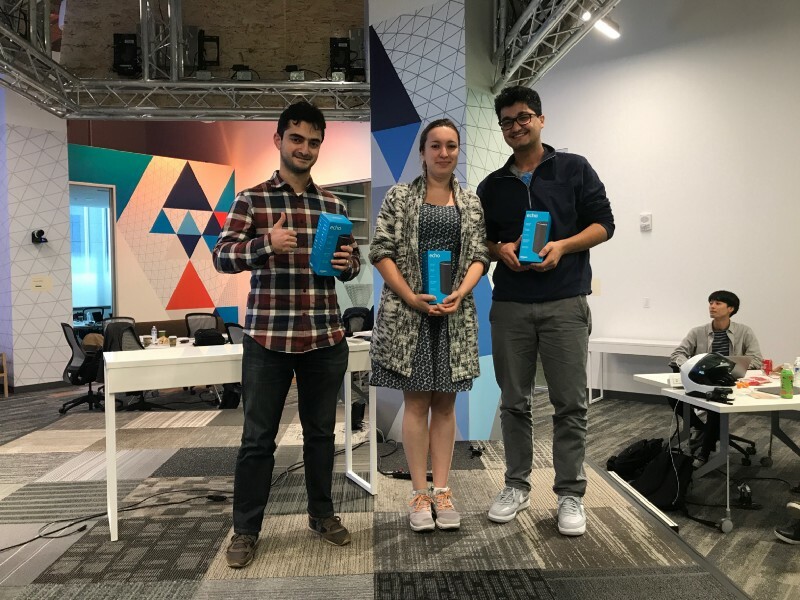 Mehdi Ahmadov, Samira Allahverdiyeva & Rauf Babayev received 3 Amazon Echos. 2nd Place — Refujob : A Facebook Messenger bot that helps refugees find and apply for jobs. 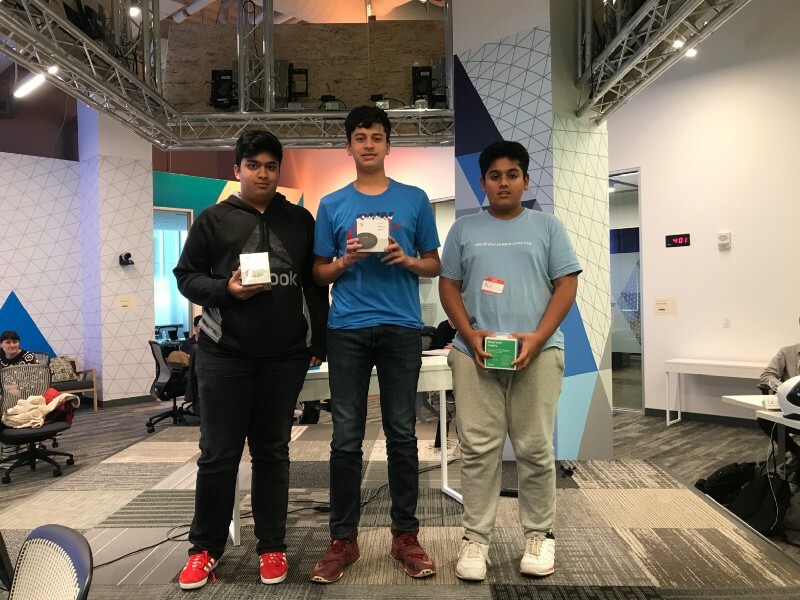 Adil Bukhari, Adnan Ahmed, & Afif Syed received 3 Google Home Minis. 3rd Place — Coderbot: A native chatbot that democratizes knowledge of software development teams. 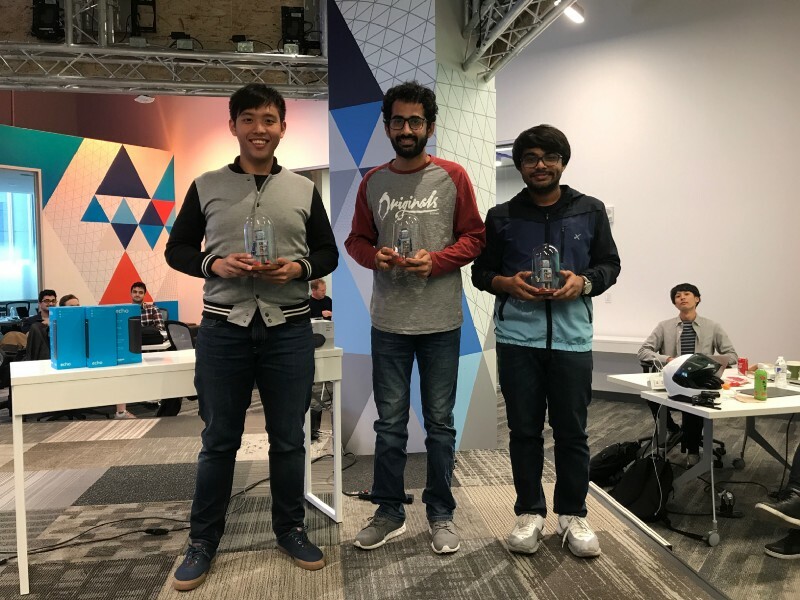 Raimie Tang, Aakash Wadhwani, & Chinmay Mishra received a Bottie McBottie. Previous PostWhat are the most common words your bot receives or sends?